Things got a bit complicated for me on this one. First of all, the Collins family just needs to throw their own reunion. Fred, Tom, John, Harry . . . all part of a big family of cocktails. Mama Collins must be so proud of her sons. Obviously the most popular family member is Tom. Tom Collins. You know this one – gin, simple syrup, lemon juice, soda. Back in 1874 it was a common joke to stop people on the streets of New York and ask, “Have you seen Tom Collins?” The unknowing recipient of the hoax would be told that Tom Collins had just been discussing them, and was waiting around the corner at the local bar, or other location. This actually became known as the Great Tom Collins Hoax of 1874. Imagine what those pranksters could have done with social media. The first recipe for the Tom Collins cocktail appeared in Jerry Thomas’ The Bartender’s Guide (1876 edition). 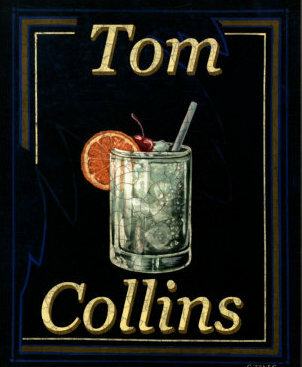 Thomas, who was based in New York in the1870s would have surely known of the Great Tom Collins Hoax, making the hoax event of ’74 the likely inspiration of the Tom Collins cocktail. 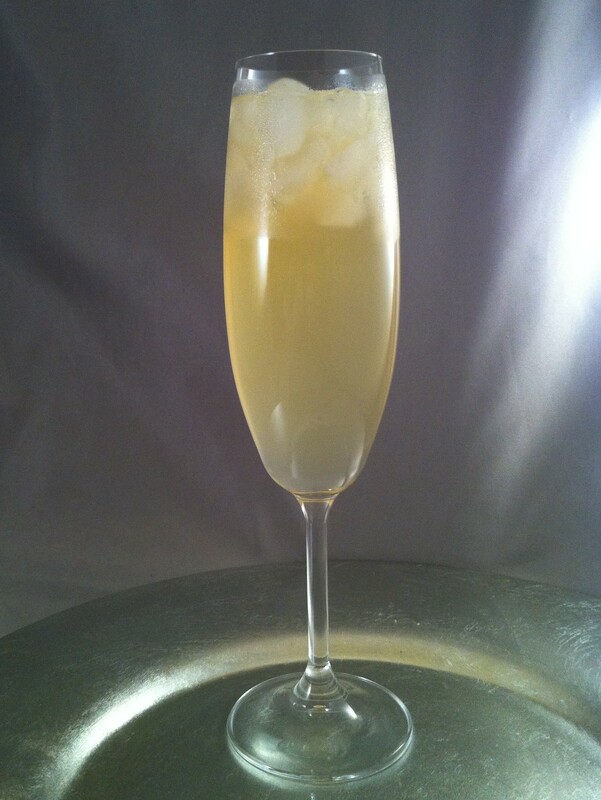 By 1878 the Tom Collins was being served in bar rooms across New York and elsewhere. But this isn’t about Tom. It is about Fred. The first recipe for the Fred Collins Fizz appeared in the New Guide for the Hotel, Bar, Restaurant, Butler, & Chef,a handbook for management of hotels and American bars by Bacchus and Cordon Blue. This fascinating book presented a number of mixed drinks that used liqueurs you actually had to make yourself. Not only did the book provide the cocktail recipes, but the recipes for the ingredients. The Collins drink was made of ingredients you could purchase, but we agree that in the late 1800s barkeeps were certainly making their own lemonade and syrups. Mix the bourbon, simple syrup, and lemon juice in an iced cocktail shaker and shake. Strain into a large bar glass half-filled with shaved or finely crushed ice. Pour lemonade into a Collins glass, then pour the contents of the bar glass into it. This definitely has all the signs of being the early version of Lynchburg Lemonade (whiskey, sweet and sour mix, triple sec, soda). It is simple and easy to consume, or be consumed by! It has a richer taste than the Lynchburg Lemonade. Phil Collins — with 7-Up or Sprite. It is a mocktail. Jallu Collins – with Jaloviina. Enjoyed among mainly Finnishmen. And, much to Nicky’s dismay, MY favorite Collins . 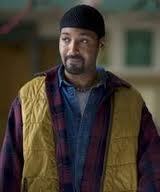 . . Jesse L. Martin as Tom Collins. Sorry Nicky. You had to see this one coming.